Jayne came from an agricultural and farm management background but prior to joining Forever she faced a number of immediate challenges, not least of which was spiralling debt as a single mum. After meeting John, also a single parent who was experiencing doubtful financial prospects, the couple realised that they couldn’t carry on doing work that didn’t give them what their now combined family needed. She and John immediately saw the potential with Forever, not just for solving those issues, but also for creating an improved life. They started working part-time around other commitments and consistently demonstrated a willingness to learn, work hard, attain success, and achieve every incentive on offer. In the first two weeks of joining Forever they developed a retail base of over 8CC and then they went on to achieve Manager in fourteen weeks. Every single night they spent working hard either running a launch, one2one, or Business Presentation. They didn’t join to just ‘give it a go’, they joined to be successful. 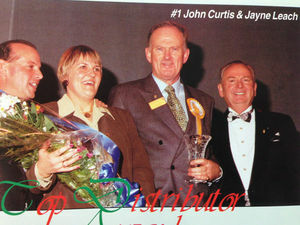 Jayne and John were successful at what they did in 1993 and they have consistently remained successful throughout their career. One of their fondest memories in Forever was when they qualified for their first Global Rally event in America – Jayne had never travelled farther than Europe at the time! Whilst at the Rally in San Francisco they met the founder of Forever – Rex Maughan – as well as the Vice Presidents within the company. This was the event that made Jayne and John realise the enormity of Forever; the values, the ethics, the vision and the people. Fast forward to 1995 and they achieved another long-term ambition, a trip to Peru and Machu Pichu. These opportunities abroad certainly gave the couple the bug, and travel quickly became a major passion for both, playing a major part in their decision to expand their Forever business into a global enterprise. After 25 years, Forever has given them the opportunity to build an incredible lifestyle and personal life that many can only dream. They want to inspire and share their reality with others, helping them to recognise that they too can achieve their potential. They have learnt that to be successful you must do more than you think you have got to do, and you must be absolutely 100% consistent every single day, even when you’re not getting results. Always be the student, and always stay humble. 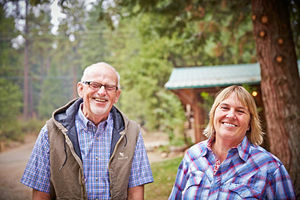 We want to thank Jayne and John for their constant inspiration and motivation for generations of FBOs across the world, and we’re as excited as they are to see where Forever is going and who the next generation of Forever leaders will turn out to be. Are you willing to step into their shoes? There is no reason why the next leader couldn’t be you – what’s stopping you?